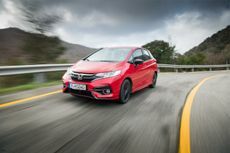 The Honda Jazz is part supermini and part MPV, so is a rival for both types of car. It’s not the last word in dynamic excellence, but it’s incredibly practical and could just be the most reliable car it’s possible to own. For many buyers, that’s enough to seal the deal. There's a lot of competition in the family hatchback class. Can the new Honda Civic hold its own? So much patience, so many parts, such a great advert from 2003. 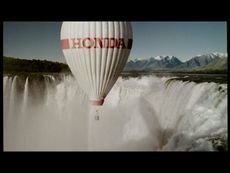 In our Classic Ads series, we take a look back at some of the motoring industry's most infamous, memorable, and controversial adverts from years gone by. This one might have you dreaming big. From March next year, the latest Civic will be available with a 1.6-litre diesel engine, which the latest fuel economy tests have shown to be capable of more than 70mpg in everyday use. Ahead of its debut at next month’s Frankfurt motor Show, the latest version of Honda’s smallest car has been shown off for the first time.